The role of carnitine in metabolism is very critical: it is a key component of the enzymes responsible for transporting long-chain FAs across the mitochondrial matrix where they can be used to produce energy. Carnitine is endogenously produced from the essential amino acids lysine and methionine in amounts that are sufficient to maintain homeostasis, when an individual's dietary intake includes a low to moderate amount of meat products. If there is a deficiency of carnitine, it is typically a result of impaired synthesis, increased degradation, inefficient transport, or abnormal renal handling. This can result in glucose dependency and perhaps even hypoglycemia. Skeletal musculature is weakened and may atrophy in addition to decreased myo-globin concentrations. Finally, cardiac muscle, which utilizes primarily FAs for fuel, may experience failure and frequent arrhythmias. Guleswitsch, W. and Krimberg, R., Zur Kenntnis der Extraktivstoffe der Muskeln. II. Mitteilung. Uber das Carnitin. Hoppe Seylers Z. Physiol. Chem., 45, 326-330, 1905. Kutscher, F., Uber Liebig's Fleischextrakt. Mitteilung I. Z. Untersuch. Nahr. Genussem., 10, 528-537, 1905. Tomita, M. and Sendju, Y., Uber die Oxyaminoverbindungen, welche die Biuretreak-tion weigen. III. Spaltung der -Amino--oxybuttersaure in die opstich-aktiven Komponenten. Hoppe Seylers Z. Physiol. Chem., 169, 263-277, 1927. Kaneko, T. and Yoshida, R., On the absolute configuration of L-carnitine (vitamin Bt). Bull. Chem. Soc. Jpn., 35, 1153-1155, 1962. Bau, R., Schreiber, A., Metzenthin, T., Lu, R.S., Lutz, F., Klooster, W.T., Koetzle, T.F., Siem, H., Kleber, H.P, Brewer, F., and Englard, S., Neutron diffraction structure of (2R,3R)-L-(-)-[2-D] carnitine tetrachloroaurate, [(CH3)3N-CH2-CHOH-CHD-COOH]+[AuCl4]-: determination of the absolute stereochemistry of the crotonobe-taine-to-carnitine transformation catalyzed by L-carnitine dehydratase from Escher-ichia coli. J. Am. Chem. Soc., 119, 12055-12060, 1997. Fraenkel, G., Blewett, M., and Coles, M., BT, a new vitamin of the B-group and its relation to the folic acid group, and other anti-anemia factors. Nature, 161, 981-983, 1948. Siliprandi, N., Di Lisa, F., and Menabo, R., Clinical use of carnitine. Past, present and future. Adv. Exp. Med. Biol., 273, 175, 1990. Brevetti G., Chiariello, M., and Ferulano, G., Increases in walking distance in patients with peripheral vascular disease treated with L-carnitine: a double-blind, cross-over study. Circulation, 77, 767, 1988. Siliprandi, N., Carnitine in physical exercise, in Biochemical Aspects of Physical Exercise, Benzi, G., Packer, L., and Siliprandi, N., Eds. Elsevier Science Publishers, Amsterdam, 1986, pp. 197-206. Rebouche, C.J., Carnitine function and requirements during the life cycle. FASEB J., 6, 3379-3386, 1992. Jeukendrup, A.E., Regulation of fat metabolism in skeletal muscle. Ann. N.Y. Acad. Sci., 967, 217, 2002. Heinonen, O.J., Carnitine and physical exercise. Sports Med., 22, 109-132, 1996. Paulson, D.J. and Shug, A.L., Tissue specific depletion of L-carnitine in rat heart and skeletal muscle by D-carnitine. Life Sci., 28, 2931-2938, 1981. Negrao, C.E., Ji, L.L., Schauer, J.E., Nagel, F.J., and Lardy, H.A., Carnitine supplementation and depletion: tissue carnitines and enzymes in fatty acid oxidation. J. Appl. Physiol., 63, 315-321, 1987. Keith, R.E., Symptoms of carnitine-like deficiency in a trained runner taking DL-carnitine supplements. JAMA, 255, 1137, 1986. DiPalma, J.R., L-carnitine: its therapeutic potential. AmFam. Physician, 34, 127-130, 1986. Engel, A.G., ReBouche, C.J., Wilson, D.M., Glasgow, A.M., Romshe, C.A., and Cruse, R.P., Primary systemic carnitine deficiency. II. Renal handling of carnitine. Neurology, 31, 819-825, 1981. Borum, P.R., Carnitine function, in Clinical Aspects of Human Carnitine Deficiency, Borum, P.R., Ed. Pergamon, New York, 1986, pp. 16-27. Engel, A.G. and Angelini, C., Carnitine deficiency of human skeletal muscle with associated lipid storage myopathy: a new syndrome. Science, 179, 899-902, 1973. Pelligrini, G., Scarlato, G., and Moggio, M., A hereditary case in lipid storage myopathy with carnitine deficiency. J. Neurol., 223, 73-84, 1980. Ware, A.J., Burton, W.C., McGarry, J.D., Marks, J.F., and Weinburg, A.G., Systemic carnitine deficiency. Report of a fatal case with multisystemic manifestations. J. Pediatr., 93, 959-962, 1978. Bohles, H., The effects of preoperative L-C supplementation on myocardial metabolism during aorto-coronary bypass surgery. Curr. Ther. Res., 39, 429-435, 1986. Brooks, H., Goldberg, L., Holland, R., Klein, M., Sanzari, N., and DeFelice, S., Carnitine-induced effects on cardiac and peripheral hemodynamics. J. Clin. Pharmacol., 17, 561-568, 1977. DiPalma, J.R., Ritchie, D.M., and McMichael, R.F., Cardiovascular and antiarrhythmic effects of carnitine. Arch. Int. Pharmacodyn. Ther., 217, 246-250, 1975. Silverman, N.A., Schmitt, G., Vishwanath, M., Feinburg, H., and Levitsky, S., Effect of carnitine on myocardial function and metabolism following global ischemia. Ann. Thorac. Surg., 40, 20-24, 1985. Rebouche, C.J. and Seim, H., Carnitine metabolism and its regulation in microorganisms and mammals. Ann. Rev. Nutr, 18, 39-61, 1998. Beiber, L.L., Carnitine. Ann. Rev. Biochem., 57, 261-283, 1988. Ceretelli, P and Marconi, C., L-carnitine supplementation in humans: the effects on physical performance. Int. J. Sports Med., 11, 1-14, 1990. Wolf, G. and Berger, C.R.A., Studies on the biosynthesis and turnover of carnitine. Arch. Biochem. Biophys., 92, 360-365, 1961. Bremer, J., Carnitine: metabolism and functions. Physiol. Rev., 63, 1420-1480, 1983. Tanphaichitr, V. and Broquist, H.P., Role of lysine and trimethyllysine in carnitine biosynthesis. II. Studies in rat. J. Biol. Chem., 248, 2176-2181, 1973. Cox, R.A. and Hoppel, C.L., Biosynthesis of carnitine and 4-N-trimethylaminobu-tyrate from lysine. Biochem. J., 136, 1083-1090, 1973. Broquist, H.P., Carnitine biosynthesis and function: introductory remarks. Fed. Proc., 41, 2840-2842, 1982. ReBouche, C.J. and Engel, A.G., Tissue distribution of carnitine biosynthetic enzymes in man. Biochim. Biophys. Acta, 630, 22-29, 1980. Heinonen, O.J., Carnitine: Effect on Palmitate Oxidation, Exercise Capacity and Nitrogen Balance. 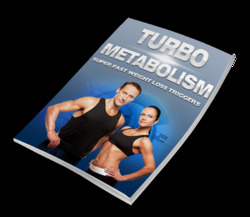 An Experimental Study with Special Reference to Carnitine Depletion and Supplementation. Ph.D. dissertation, University of Turku, Finland, 1992. Feller, A.G. and Rudman, D., Role of carnitine in human nutrition. J. Nutr, 118, 541-547, 1988. Lombard, K.A., Olson, A.L., Nelson, S.E., and ReBouche, C.J., Carnitine status of lactoovovegetarians and strict vegetarian adults and children. Am. J. Clin. Nutr., 50, 301-306, 1989. Karlic, H. and Lohninger, A., Supplementation of L-carnitine in athletes: does it make sense? Nutrition, 20, 709-715, 2004. Engel, A.G. and ReBouche, C.J., Carnitine metabolism and inborn errors. J. Inherit. Metab. Dis, 7, 38-43, 1984. Frolich, J., Seccombe, D.W., and Hahn, P, Effect of fasting on free and esterified carnitine levels in human serum and urine: correlation with serum levels of free fatty acids and p-hydroxybutyrate. Metabolism, 27, 555-561, 1978. Constantin-Teodosiu, D., Regulation of Pyruvate Dehydrogenase Complex Activity and Acetyl Group Formation in Skeletal Muscle during Exercise. Ph.D. dissertation, Huddinge University, Sweden, 1992. Vukovich, M.D., Costill, D.L., and Fink, W.J., Carnitine supplementation: effect on muscle carnitine and glycogen content during exercise. Med. Sci. Sports Exerc., 26, 1122-1129, 1994. Hiatt, W.R., Regensteiner, J.G., Wolfel, E.E., Ruff, L., and Brass, E.P., Carnitine and acylcarnitine metabolism during exercise in humans. J. Clin. Invest., 84, 1167-1173, 1989. Decombaz, J., Gmuender, B., Sierro, G., and Ceretelli, P., Muscle carnitine after strenuous endurance exercise. J. Appl. Physiol., 72, 423-427, 1992. Lennon, D.L., Stratman, F.W., Shrago, E., Nagle, F.J., Madden, M., Hanson, P., and Carter, A.L., Effects of acute moderate-intensity exercise on carnitine metabolism in men and women. J. Appl. Physiol., 55, 489-495, 1983. Carlin, J.I., Reddan, W.G., Sanjak, M., and Hodach R., Carnitine metabolism during prolonged exercise and recovery in humans. J. Appl. Physiol., 61, 1275-1278, 1983. Harris, R.C., Louise Foster, C.V., and Hultman, E., Acetylcarnitine formation during intense muscular contraction. J. Appl. Physiol., 63, 440-442, 1987. Soop, M., Bjorkman, O., Cederblad, G., Hagenfeldt, L., and Wahren, J., Influence of carnitine supplementation on muscle substrate and carnitine metabolism during exercise. J. Appl. Physiol., 64, 2394-2399, 1988. Brass, E.P and Hiatt, W.R., The role of carnitine and carnitine supplementation during exercise in man and individuals with special needs. J. Am. Coll. Nutr., 17, 207, 1998. Siliprandi, N., DiLisa, F., Peiralisi, G., Ripari, P., Maccari, F., Menabo, R., Giamber-ardino, M.A., and Vecchiet, L., Metabolic changes induced by maximal exercise in humans following L-carnitine administration. Biochem. Biophys. Acta, 1034, 17-21, 1990. Vecchiet, L., DiLisa, F., Peiralisi, G., Ripari, R., Menabo, R., Giamberardino, M.A., and Siliprandi, N., Influence of L-carnitine administration on maximal physical exercise. Eur. J. Appl. Physiol., 61, 486-490, 1990. Gorostiaga, E.M., Maurer, C.A., and Eclache, J.P., Decrease in RD during exercise following L-carnitine supplementation. Int. J. Sports Med., 10, 71-80, 1989. Wyss., V., Ganzit, G.P., and Rienzi, A., Effects of L-carnitine administration on VO2 max and the aerobic-anaerobic threshold in normoxia and acute hypoxia. Eur. J. Appl. Physiol. Occup. Physiol., 60, 1, 1990. Muller, D.M., Seim, H., Kiess, W., Loster, H., and Richter T., Effects of oral L-carnitine supplementation on in vivo long-chain fatty acid oxidation in healthy adults. Metabolism, 51, 1389, 2002. Giamberardino, M.A., Dragani, L., Valente, R., Di Lisa, F., Saggini, R., and Vecchiet, L., Effects of prolonged L-carnitine administration on delayed muscle pain and CK release after eccentric effort. Int. J. Sports Med., 17, 203, 1996. Kraemer, W.J., Volek, J.S., and French, D.N., The effects of L-carnitine L-tartarate supplementation on hormonal responses to resistance exercise and recovery. J. Strength Cond. Res., 17, 455, 2003. Sahlin, K., Muscle carnitine metabolism during incremental dynamic exercise in humans. Acta Physiol. Scand, 138, 259-262, 1990. Wagenmakers, A.J.M., L-carnitine supplementation and performance in man. Med. Sci. Sports Exer, 32, 110-127, 1991. Marconi C., Sassi, G., Carpenelli, A., and Ceretelli, P, Effects of L-carnitine loading on the aerobic and anaerobic performance of endurance athletes. J. Sports Sci., 54, 131-135, 1985. Borum, P.R., Plasma carnitine compartment and red blood cell carnitine compartment of healthy adults. Am.. J. Clin. Nutr., 46, 437-441, 1987. Janssen, G.M.E., Scholte, H.R., Vaandrager, M.H.M., and Ross, J.D., Muscle carnitine level in endurance training and running a marathon. Int. J. Sports Med., 10, S153-S155, 1989.
Cooper, M.B., Jones, D.A., Edwards, R.H.T., Corbucci, G.C., Montanari, G., and Trevisani, C., The effect of marathon running on carnitine metabolism and on some aspects of mitochondrial activities and antioxidant mechanisms. J. Sport Sci., 4, 79-87, 1986. Arenas, J., Ricoy, J.R., Encinas, A.R., Pola, P., D'Iddio, S., Zeviani, M., Didonato, S., and Corsi, M., Carnitine in muscle, serum and urine on non-professional athletes: effects of physical exercise, training and L-carnitine administration. Muscle Nerve, 14, 598-604, 1991. Cederblad, G., Lindstedt, S., and Lundholm, K., Concentration of carnitine in human muscle tissue. Clin. Chim. Acta, 53, 311-321, 1974. Harper, P., Wadstrom, C., and Cederblad, G., Carnitine measurements in liver, muscle tissue, and blood in normal subjects. Clin. Chem., 39, 592-599, 1993. Greig, C., Finch, K.M., Jones, D.A., Cooper, M., Sargeant, A.J., and Forte, C.A., The effect of oral supplementation with L-carnitine on maximum and submaximum exercise capacity. Eur. J. Appl. Physiol., 56, 457-460, 1987. Angelini, C., Vergani, L., and Costa, L., Use of carnitine in exercise physiology. Adv. Clin. Enzymol., 4, 103-110, 1986. Oyono-Enguelle, S., Freund, H., Ott, C., Gartner, M., Heitz, A., Marbach, J., Maccari, F., Frey, A., Bigot, H., and Bach, A.C., Prolonged submaximal exercise and L-carnitine in humans. Eur. J. Appl. Physiol., 58, 53-61, 1988. DeCombaz, J., Deriaz, O., Acheson, K., Gmuender, B., and Jequier, E., Effect of L-carnitine on submaximal exercise metabolism after glycogen depletion. Med. Sci. Sports Exerc, 25, 733-740, 1993. Natali, A., Santoro, D., Brandi, L.S., Faraggiana, D., Ciociaro, D., Pecori, N., Buzz-igoil, G., and Ferrannini, E., Effects of hypercarnitinemia during increased fatty substrate oxidation in man. Metabolism, 42, 594-600, 1993. Trappe, S.W., Costill, D.L., Goodpaster, B., Vukovich, M.D., and Fink, W.J., The effects of L-carnitine supplementation in performance during interval swimming. Int. J. Sports Med, 15, 181-185, 1994. Brass, E.P, Hoppel, C.L., and Hiatt, W.R., Effects of intravenous L-carnitine on carnitine homeostasis and fuel metabolism during exercise in humans. Clin. Pharmacol. Ther., 55, 681-692, 1994. Barnett, C., Costill, D.L., Vukovich, M.D., Cole, K.J., Goodpaster, B.H., Trappe, S.W., and Fink, W.J., Effect of L-carnitine supplementation on muscle and blood carnitine content and lactate accumulation during high-intensity spring cycling. Int. J. Sports Nutr., 4, 280-288, 1994. Colombani, P., Wenk, C., Kunz, I., Krahenbuhl, S., Kuhnt, M., Arnold, M., Frey-Rindova, P., Frey, W., and Langhans, W., Effects of L-carnitine supplementation on physical performance and energy metabolism of endurance trained athletes: a doubleblind crossover study. Eur. J. Appl. Physiol., 73, 434-439, 1996. Gruneweld, K.K. and Bailey, R.S., Commercially marketed supplements for bodybuilding athletes. Sports Med., 15, 90-103, 1993. Williams, M.H., Ergogenic and ergolytic substances. Med. Sci. Sports Exerc., 24, S344-S348, 1992. 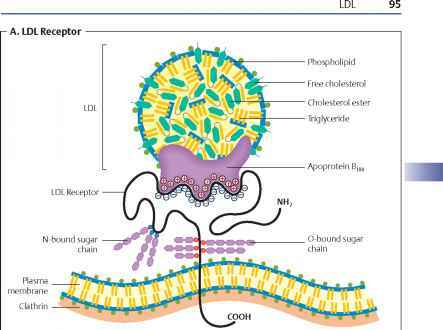 Snyder, T.M., Little, B.W., Roman-Campos, G., and McQuillen, J.B., Successful treatment of familial idiopathic lipid storage myopathy with L-carnitine and modified lipid diet. Neurology, 32, 1106-1115, 1982. Waber, L.J., Valle, D., Neill, C., DiMauro, S., and Shug, A., Carnitine deficiency presenting as familial cardiomyopathy: a treatable defect in carnitine transport. J. Pediatr., 101, 700-705, 1982.